This site includes the archive of interior decorating articles by NCIDQ certified designer and author Catherine Foust McGivern. McGivern's articles were widely published in design trade publications and magazines from 1999-2003. 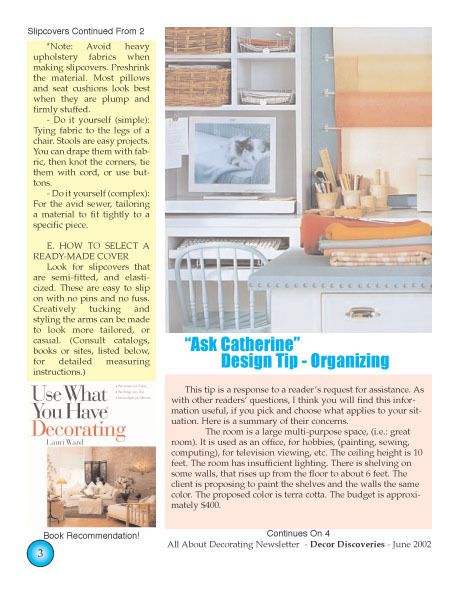 Subjects of the articles include how to become a designer, how to market design services, design advice on color selection, "Ask Catherine" diy design tips, decorating on a budget, traditional styles of interior decorating and much more. Get some great new ideas for your home, including the latest color and design trends from both American and European trade shows. Included are interior decorating book reviews, the Catherine McGivern newsletter archive, a faq archive from message board questions, and a directory of design trade contacts. 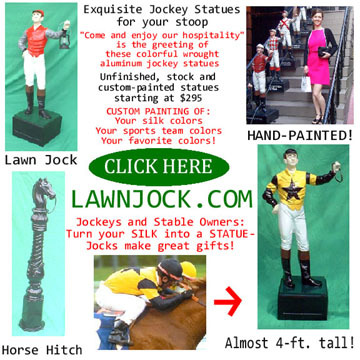 Interior decorating resources and wholesalers are listed by category and company name. Use the laft menu buttons to navigate the site. We hope you find exactly what you are looking for!